I cannot BELIEVE that this time next week I’ll be back in Australia. I have no idea what it’s going to be like. People that went home before me said it feels like waking up from a dream. I wonder if it’ll be the same for me. As I (rapidly) near the end of my six months abroad, I’ve learnt a lot and have firsthand experience in what’s important when planning an exchange. Unlike most of my other blogs, this is less of a “where in the world is Erin” and more of a “how to” guide. •	Start looking at partner universities. Check out countries, cities and even courses that you would be interested in. Deciding where to spend one or two semesters is a big decision so do your research. •	SAVE SAVE SAVE! Before I went away, I saved earned and saved a lot of money. You can also take out an extra loan on your normal HECS debt so that can help to supplement your savings. •	Finalise your subjects early! Getting into subjects was the most stressful part of my entire lead up. Some of the subjects I needed were full and sometimes you can’t get approval for subject matches. So work it out early, find as many options as you can and submit your application as soon as you can. •	Deal with any visas/power of attorney/banking/travel cards. It’s important, particularly with visas, to sort it out as soon as you receive your confirmation. I also signed a power of attorney form in case I needed my parents to do anything like get a copy of my transcript from QUT. Finally, I got a travel card instead of a credit card and it worked really well so look into your options. •	PACK! I know you’ll think that you can sort it out the day before. But you really can’t. My biggest hint with packing is, if in doubt, don’t take it. You’re bound to buy stuff while your overseas so don’t overload yourself if you don’t need to. You can survive without that fourth pair of jeans, trust me. •	Online check-in. Some airlines allow online check-in a few days before, others within 24 hours. Online check-in is a gift from the travel Gods so use it. It will make saying your goodbyes at the airport less stressful. •	Quadriple check that you have all the essentials (passport, travel documents, money, cards…) You would be surprised what people forget in the chaotic hours before they fly out. •	For those who don’t fly very often, there are a lot of restrictions on what you can carry. Both in checked luggage and carry-on. Check the airline and airport security restrictions for details. •	Take books/magazines/iPod/laptop/anything you need to keep you amused. I was in transit for 28 hours… 28 HOURS!!! So take something to pass the time. •	Carry a jumper. Depending on where you’re going, the climate might be very different in your departure and arrival destinations. I went from 30-40 degree weather to frost covered England. •	Attend any and all welcome events. They’re designed to help you meet new people and settle in so take the tours, attend the speeches and go to the international parties where they make you wear an Australian flag or dress as a kangaroo. •	Attend classes! Remember, you’re actually here to study. 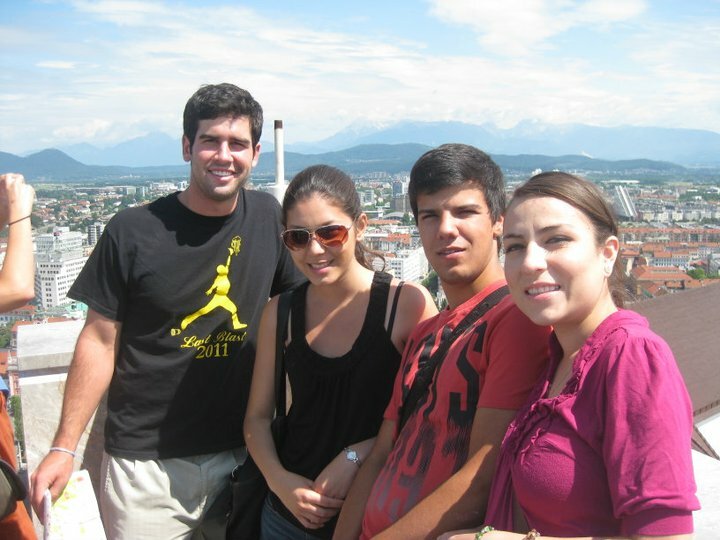 Many people tend to fixate more on the “abroad” part of study abroad. But you’re here to do classes that you want to get credit for in Australia so make an effort to learn. •	Sightsee and travel often. I probably took this piece of advice to the extreme. But if there is something that you know you want to visit, make plans and just do it (thanks Nike). Otherwise your exchange will fly by. You’ll get to the end and wonder where all the time went. •	Skype is your best friend. Family and friends want to know where you are and what you’re up to so try to skype them as often as you can. •	Keep attending classes. No additional comments required. •	Do all your assessment and exams! It’s just like QUT. You had to do work to get the marks that allowed you to go on exchange. You have to do work on exchange to get the subject credit you want back at QUT. •	PACK! You’ll be astounded at how much… stuff (for want of a better word) you’ll accumulate so pack early. That way you’ll have time to throw out/recycle/send home all your… stuff. •	Give out a few Australian gifts. As a guide, clip on koalas and boomerangs have universal appeal. •	Saying goodbye can be really hard. These people become your family for six months or more so it’s likely to be really difficult to leave them behind. •	Keep in touch with your exchange friends via skype, facebook and email. •	Catch up with all your friends and family. While you’ve been living the exchange dream, they’ve been at home missing you so make sure you catch up with them asap. • Think about the good parts of being home. You’re with your family and friends and, if you want to, you will travel again in the future!! Six months seemed like such a long time before I came here. Yet, these six months have completely flown by and have given me the best experiences of my life. I can say I went to the Dawn Service at Gallipoli and I was in London for Kate and William’s Royal Wedding. I had so many amazing travel experiences and can’t wait to return. But, by far the most important part, the people! I’ve met the most incredible friends. People I will travel across the globe to visit in the coming years. 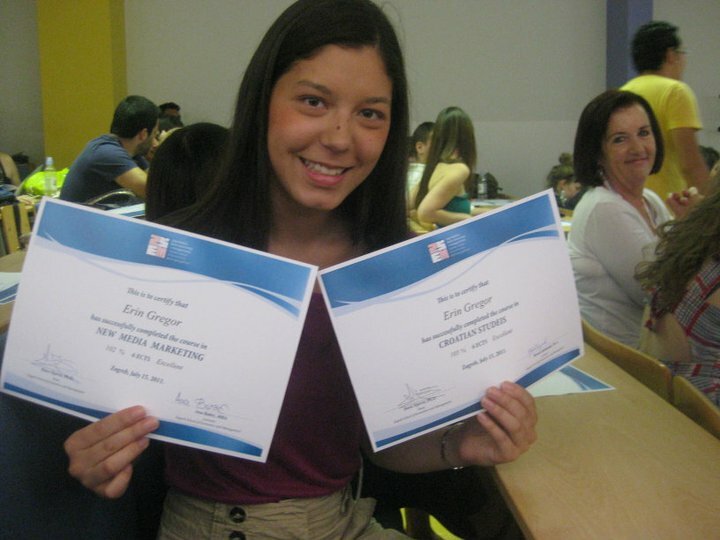 I cannot believe I have finished my Summer School in Zagreb!! It feels like I arrived two or three days ago… not three weeks ago! I’ve done all my assessment, finished my classes and tomorrow we receive our certificates. Then we all jet back to our opposite ends of the globe! 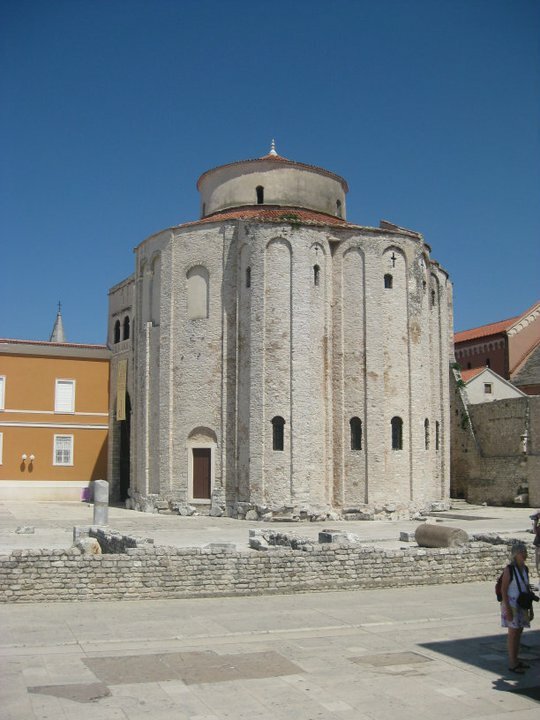 Over the past three weeks I completed two subjects – New Media Marketing and Croatian Studies. Due to my super busyness and lack of time to post blogs, I’ll jam pack this one with all the essential info and photos on my last two weeks. 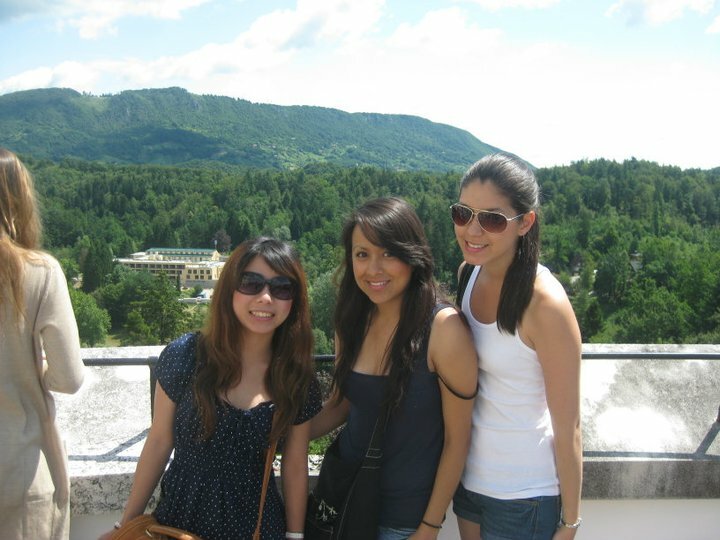 On the first day we all met at Zagreb School of Economics and Management (ZSEM). Amongst a group of around 60, I would say it was 50% Mexican, 30% French, 5% Russian, 5% American and 10% rest of the world. 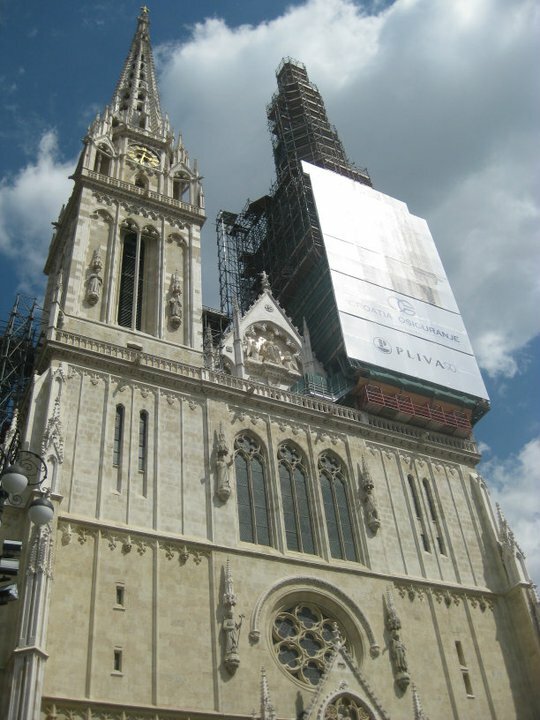 We then embarked on a tour of Zagreb to see the sites and get our bearings. 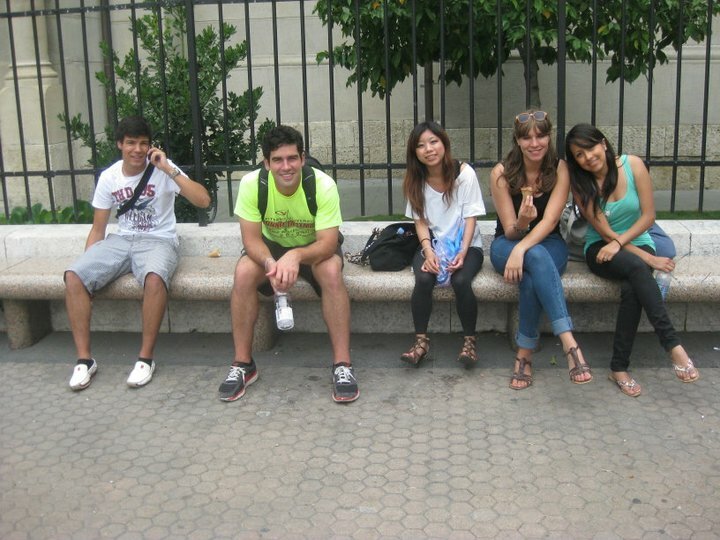 The is a shot of the main group I hung out with: Francisco from Portugal, Jake from Chicago, Yuka from Japan, Fanny from France and Laura from Mexico. On June 30th we celebrated “half new year” at Strossmatre. 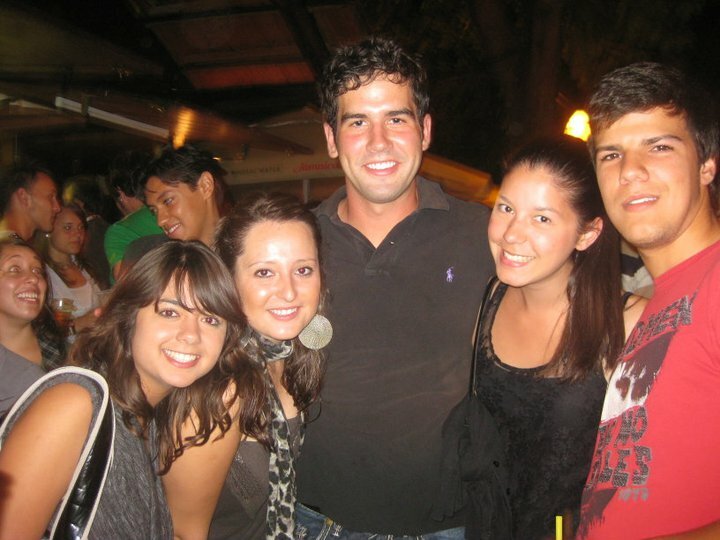 I loved partying with the Mexicans, they’re so much fun! This is a photo with my housemate Lidija from Bosnia and Herzegovina/Croatia. We had a really fun night out on the town with all the exchange students for a club tour. 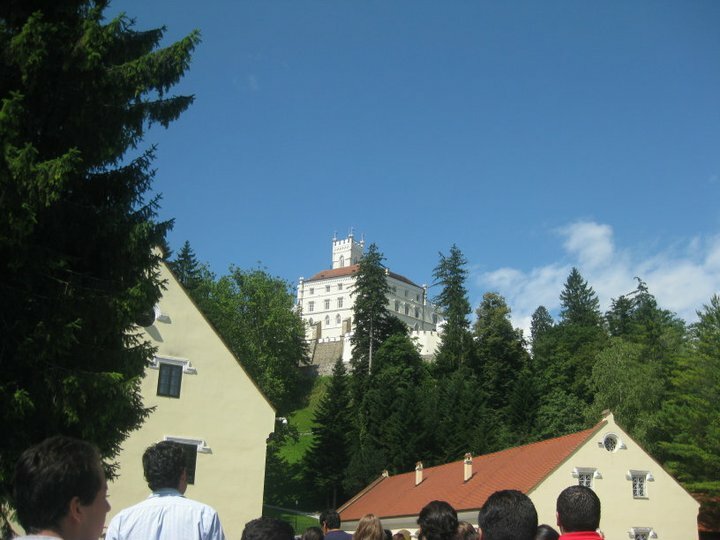 On the first weekend here, we went on an excursion to Trakostan Castle on Saturday which was very pretty! 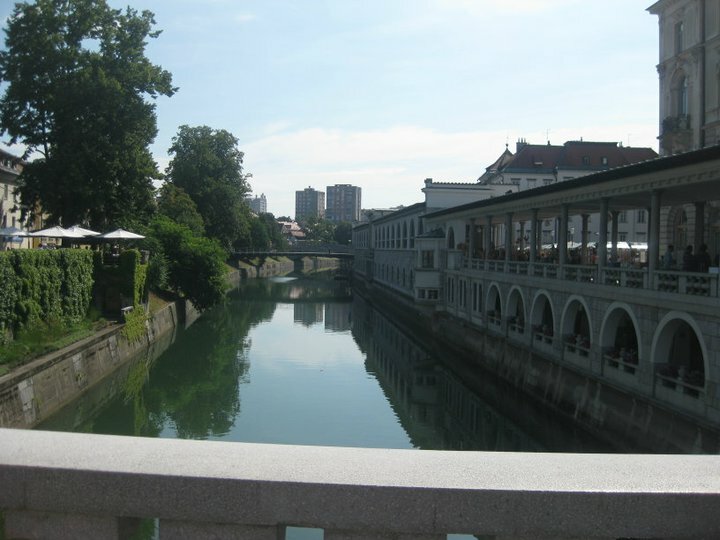 On Sunday, we took a train to Slovenia and visited the capital Ljubljana. It reminded me a lot of the towns in the south of the Netherlands and Germany. So lovely! The following weekend was our big excursion. 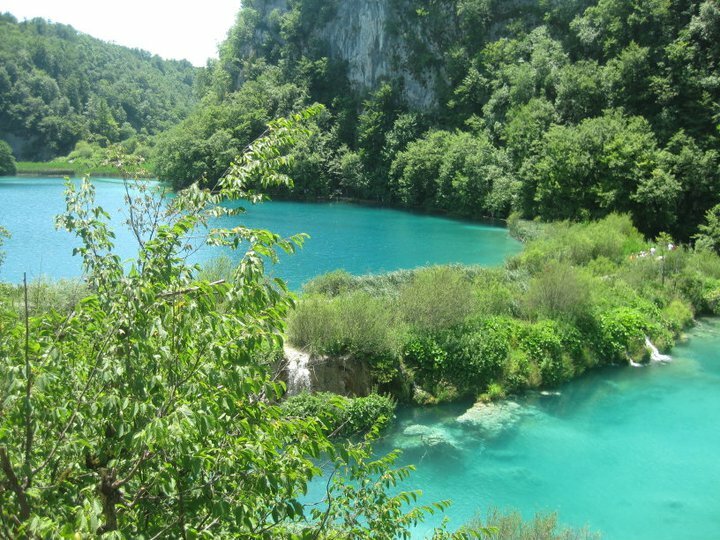 We first went to Plitvice Lakes which was AMAZING! My photos don’t really capture how great it was so I recommend you all google “Plitvice Lakes” to get a better understanding. 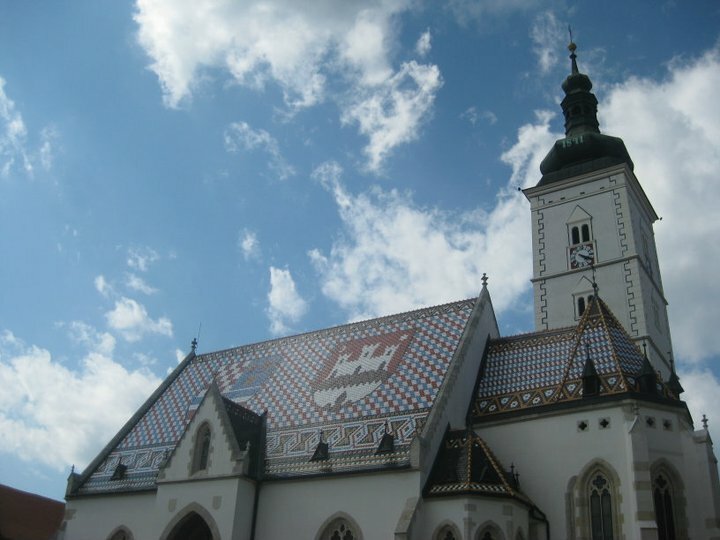 We went on to Zagreb on the coast. The weather was amazing and it was really incredible to see some of the sites there. We also went to a smaller town to swim at the beach!! I’ve had such an incredible three weeks, I’ve met really awesome new friends and I’ve learnt to say dobar dan, bok, hvala and molim. The courses here at ZSEM have been great and I’m really going to miss my New Media Marketing class in particular, after spending every day together for three weeks. If you’re thinking about exchange but feel like a whole semester is too long for you, I’d really recommend a summer school. It gives you a taste of exchange, allows you to meet lots of new people and lets you travel to new places! 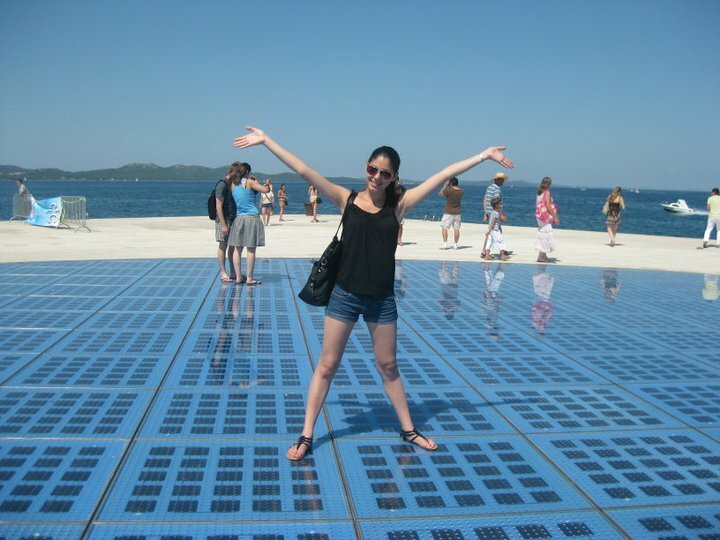 So, one last day in Croatia and then it’s back to Greece for my final few days in Europe!!! This time next week, I’ll be somewhere over Asia bound for Brisbane!! Lions and tigers and bear. Oh my! To my dearest friend, Mummy. Preparing for exchange is not exactly a streamline process, so I hope to guide you somewhat through it. Additionally, I’ll let you know how I feel about going to Chulalongkorn University (Chula) in Bangkok. Then, I’ll fill you in on my visit to Christchurch, N.Z., as I am just at the airport getting ready to leave. 1) Do I like smelling stinky fish in markets? 2) Are my lungs able to handle breathing in dust (and not oxygen) for six months? 3) Do I want to ride Elephants, play with monkeys, tickle tigers or float with fish? 1) Do I like McDonalds? 2) Do I want to live life on-the-edge in South America? 3) How much time can I afford to spend in airport security? 1) Do I have the money to travel across the world, and spend my highly-valued Australian dollars? With the Euro in this state, simple shopping in the Euro-zone is like donating to charity. 2) Do I want to engage in naughty, bedroom behaviours with attractive people? 3) To what extent do I like churches? Now that you know which continent to go to, the country must be chosen. Questions for this could be similar to: Do I want learn how to locate a country on a map (U.S.A.) http://www.youtube.com/watch?v=lj3iNxZ8Dww , or do I want to eat at the Peruvian burger chain, Bembos (whose burgers are orgasms in buns)? Do I want to chunder everywhere (U.K.) – please see http://www.youtube.com/watch?v=eKFjWR7X5dU ? Or, do I want to pose for as many photos as celebrities do (Thailand)? Then, choose your city! (REMEMBER: these videos are extremes/jokes and the U.S. and U.K. are much more normal in real life). Afterwards, QUT will approve your exchange and put you in-touch with your host university. About 4-5 months before your exchange, expect to hear your first words from them. Once the host university has contacted you, you will need to re-apply through them. You will receive an outline of the subjects available that semester, and you will need to get approval from your QUT course co-ordinators if you make any changes to your original. If you are lucky, you will get a letter of acceptance from your host uni before you leave or need to apply for your visa. Then, choose your accommodation and book your flights! Because I have issues with feeling lonely, I chose to live with four people in one apartment, even though a studio apartment was the same price. Now secondly, why did I choose Bangkok? I was tossing-up between Universitat Mannheim in Germany or a character-filled Asian country. Did I was the prestige or the poverty and character? Since I couldn’t decide, I followed the advice of a psychiatrist and meditated on it. As fast as the sorting hat put Malfoy into Slytherin, I knew I was going to Asia. Then I wanted to choose between Hong Kong and Thailand. Because I am cheap and have a curry-fetish, Thailand it was! 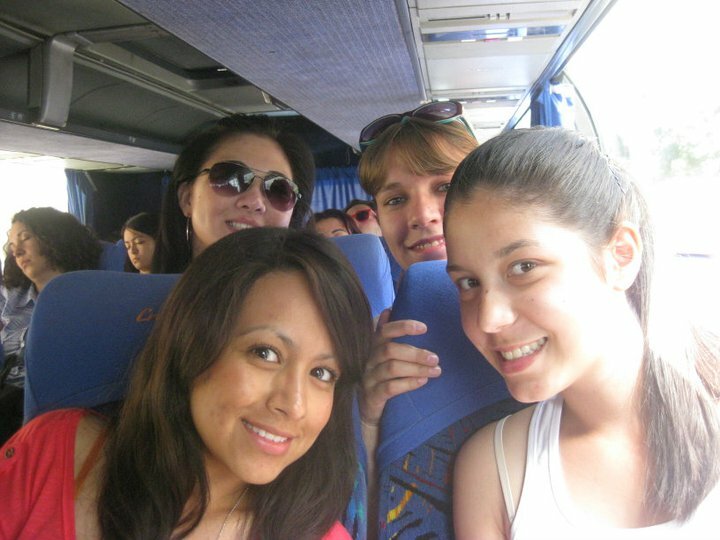 Also, I spent an amazing week at Chula’s (my university’s) international conference in 2011 – it was fan-tas-tic! I actually did ride elephants and play with tigers. Today though, I’m actually really scared about going… just the other day we got sent a list of our flat-mates. I share a bed-room with a Swede and the apartment with Norwegians. I am think this is good news, as I’ve never met an unattractive person Scandinavian! I may have tried to stalked them on Facebook but couldn’t find them…. or their photos (more important). What happens if they aren’t stud-muffins? How can I fix this problem? Oh well… sleeping with room-mates probably isn’t a good thing anyway. Also, from my experience in Bangkok (BKK) it is very smelly, dirty, loud, messy, disorganised and above all, naughty – but the awesomeness seems to make up for it. Finally, en route to Bangkok I have been in Christchurch, N.Z. (my home for 18-years), and am on my way to London, Manchester, Hamburg, Berlin, Amsterdam and Mallorca (in fact, I am drinking lots of wine at the airport now – viva la Areo Nueva-Zelanda). For those of you who don’t know, Christchurch has had 3369 earthquakes since September 2010, 25 of which have been over five on the Richter scale. Have you ever visited a city in which 600 building have been destroyed from the C.B.D.? Can you imagine Brisbane with no CBD for over half a year (we experienced only a few days during the floods). Do you have adequate bladder control? The photo below shows the process of liquefaction, referring to the process by which sediments are transformed into a substance that acts like a liquid. The car’s driver, a friend of my aunts, and his son had to climb out the boot. Sadly, the father left his mobile in the car and made his son go back and get it! 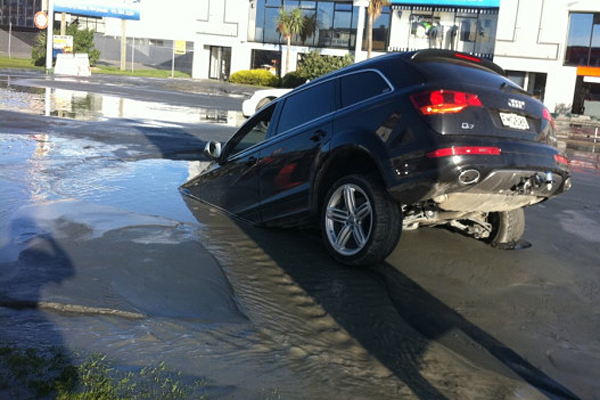 … typical Audi drivers. Talk about being stuck in the mud! Time here has sure been ‘interesting’. No bars to party in, no cafe’s to coffee in, and most importantly to us business students, no offices to work in! Man alive, it was weird! The roads in many suburbs are what you’d expect from Sierra Leone! People don’t really leave their homes unless the need to. And not surprisingly, people are getting fatter! Conversation revolves mainly around the earthquakes, which in itself is exhausting. Nevertheless, the people at large remain sane and strong! Power to the people! It is nice to see how well-adjusted the creatures are, and how they are doing the best with what they have got! For now, the wine is getting to me, and my flight is about to leave!